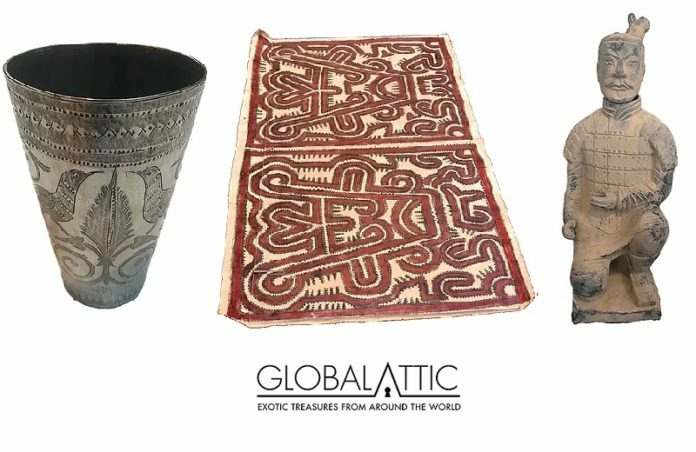 Global Attic sells exotic home decor items to style-conscious customers who want unique, one-of-a-kind merchandise that can’t be found at the typical home decor store. Whether textiles, paintings, home decor, sculptures or furniture, their items transform bland living spaces, convey individuality, and help sustain global communities. 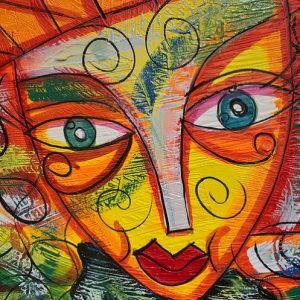 We are excited to welcome Global Attic to the Oak Brook Artisan Market at Oakbrook Center on Sat & Sun, May 18-19, 2019. This 2-day outdoor market showcases the Midwest’s finest artisans in fashion, food, home goods + art. Global Attic is the brainchild of founder Kabria Cummings who also serves as buyer for the company. 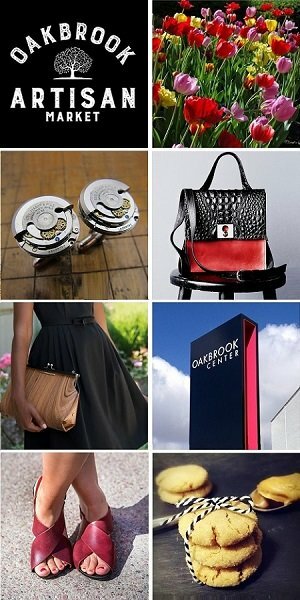 To ensure that customers will always find something unique in the “Attic,” Kabria confesses that she enjoys traveling off the beaten path to discover treasures in tucked-away locations. When she’s not traveling, she’s designing new product from her home in Chicago that is produced by local makers such as the brand’s custom-made pillows. Since childhood, Chicago native Kabria Cummings has exhibited a love for interiors. Her parents, Sam and Ella were avid decorators and DIYers who scoured thrift stores for items into which they could breathe new life. They sewed, reupholstered furniture, collected ethnic artwork and her father even built furniture. This all heavily influenced Kabria. Although she chose a career in graphic design and marketing, Kabria decided to pursue her passion for interior decorating full-time following the deaths of her parents two months apart. In addition to being a physical tribute to her parents, Global Attic serves as an opportunity to merge Kabria’s love for traveling, collecting ethnic artifacts and giving back to others. Global Attic not only pays artisans a fair wage, but also makes donations to several charitable campaigns and organizations throughout the year.